Five Keys Yoga offers private Yoga Therapy services and inclusive group classes at our studio locations in Roscoe Village, Chicago. We also provide private services and group classes at homes and organizations throughout Chicagoland. We are passionate about making yoga accessible for every body! Five Keys Yoga offers the Yoga for the Special Child® method, which is safe and effective for babies and children. We have worked with children with a wide variety of special needs, including autism, ADD, anxiety, brain damage, cerebral palsy, depression, Down syndrome, epilepsy, and learning disabilities. Our instructors are certified YSC practitioners. For more information about Yoga for the Special Child®- The Sonia Sumar Method. Yoga Therapists provide a comprehensive service, looking at the client's needs from a total-body perspective. With you, we consider your daily activities, exercise, diet, sleep and relationships, in order to promote health at all levels. With your permission, we coordinate with your medical team. Yoga Therapy is an effective complement to standard medical practices. Five Keys Yoga adapts yogic practices to individual needs, serving a variety of special needs and medical conditions. Learn more about our therapeutic yoga services for adults. 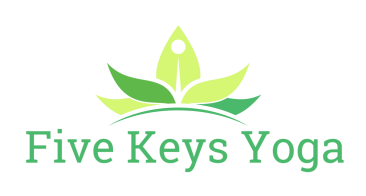 Five Keys Yoga develops private and group Yoga Therapy programs for organizations. We can help you create and run a program at your clinic, hospital, office or school! Help your employees, clients or students relax, become happier, and meet their goals. Contact us for more information.